Safety yellow powder coat finish. 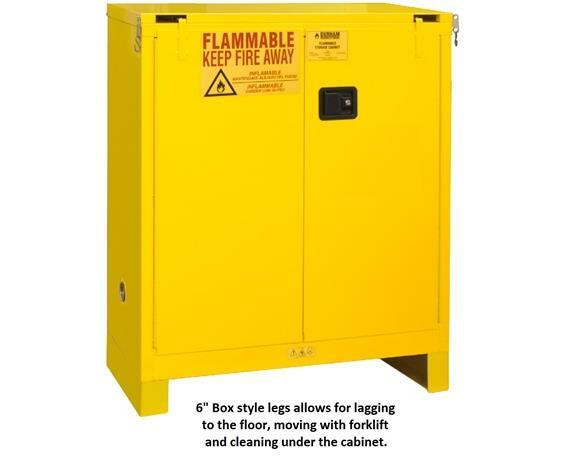 Flammable Storage Cabinets are required by OSHA and UFC in commercial and industrial facilities where flammable liquids are used and stored. 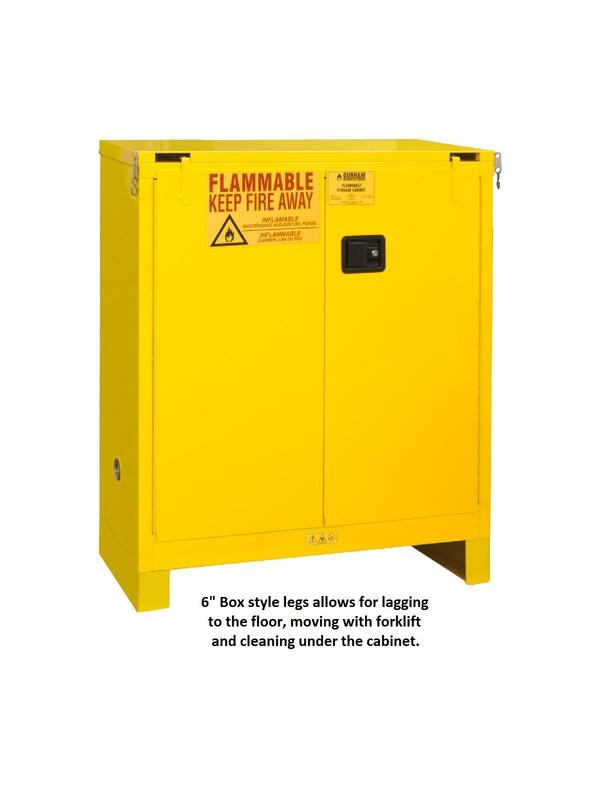 Cabinets feature recessed lockable paddle latch and 3 point locking systems which greatly improves security. Bunged air vents on each side of the cabinet allows for greater ventilation. Constructed of all welded 16 ga. double wall steel. 60 and 90 gallon models have internal 14 ga. angle iron support frames. 2" wide louvers support shelves. Units safely contain hazardous chemicals, reducing the risk of fire. FOB Shipping Point. See Related Items tab for Flammable Storage Cabinets. 23 x 18 x 41"23 18 41"